Greaves are designed to protect the lower leg from the cut of a sword or the vicious kicking that occurred during battle. Although worn by many Roman units, greaves were not worn by all. 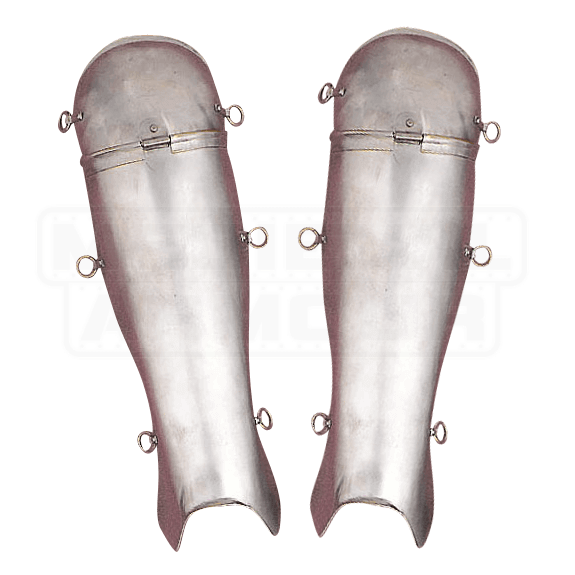 Our replica steel greaves are based on patterns pictured in reliefs on Trajans Column in Rome and feature an articulated knee piece for extra protection. These greaves will need to be laced up. These greaves have metal loops that will accommodate your lacing.